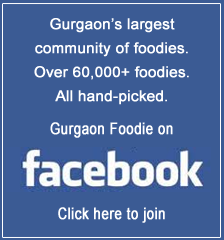 The review was anonymously done by Gurgaon Foodie admins after paying for the meal. One of the best perks of being an admin of Gurgaon Foodie is our infrequent admin lunches that often end up being extreme gastronomic adventures. One such experience was had by us today. 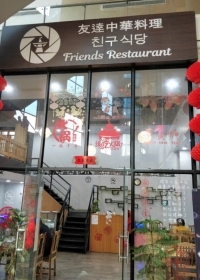 As usual we met for lunch at 1 pm at a restaurant that some ardent Gurgaon foodie members had discovered, intriguingly called Friend’s restaurant, serving authentic Chinese food. We arrived to discover a recently produced menu with a lot of pics making our ordering task easier. 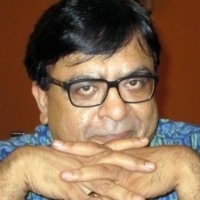 The Hindi speaking server asked Shivendu and I if we wanted our food bland or spicy. We took it as an affront to our machismo (Shefali was delayed so it was just us macho people) and we said maximum heat. With the food that followed, I suspect that was a bit of a rash move, disproving the age old dialogue “mard ko dard naheen hota”. Yes the food was spicy…..very very spicy. And yet mostly delicious! The first dish to arrive on the table was Fried Pig Intestine (Rs 580). It looked like onion bhajji and tasted hot, crisp and juicy. What was missing was lots of beer, because here was the perfect chakhna. Next and even more delicious was Griddled BBQ Mutton and Onion (Rs 860) – except that it was really spicy too with a blast of Schezwan peppers so palate numbing that we had to take a break and douse the fire in the mouth with some Sprite. Deep Fried Pork Stomach (Rs 720), especially after experiencing two intense dishes was a bit of a downer. but Snakehead Fish Fillets in Hot Chilli Oil (Rs 880) was the star of the afternoon. What an awesome dish it was. Again hot as hell, but really tasty. The fish fillets were cooked perfect and flaky and the gravy was to die for (literally). We ended the meal somewhat tamely with succulent Prawns with Celery and Cashew (Rs 720) accompanied with Steamed Rice Large (Rs 200). If you are an adventurous foodie who is looking for the next OMG foodie experience, just rush here! Remember not to be foolhardy like us and stick to heat level mild or medium. Also keep in mind that the portions are huge and a dish can feed four.